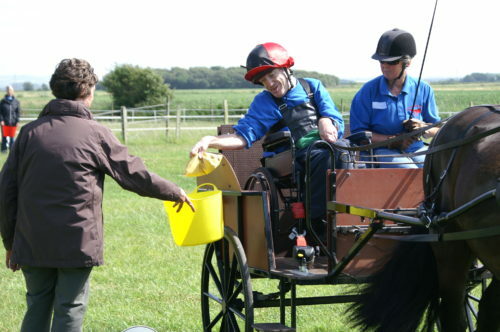 Carriage driving has been an important part of RDA since 1975 and there are now around 65 groups involved giving opportunities to over 1000 drivers. RDA Carriage Driving is open to all members of RDA and is particularly useful for people who can no longer ride due to disability or prefer a different kind of challenge. Here you will find all the information you need to carry out Carriage Driving in your Group. Carriage Driving weight chart and guidelines are now available on the RDA Group Order Form. Please download the form from “Group Orders” and send to Rebecca Marston at RDA National Office. We have four grades of Proficiency Test for Carriage Driving, all grades include Horse Care. Please click on the links below for training aids, syllabus and the handbook.